A mum is finally able to pick up her baby son – after being struck down by severe sciatica. Eleanor Copeland, of Holmfirth, needed an operation on her spine to help her recover from the condition, which left her bedridden and wheelchair bound. The pain was so intense that she had to resort to crawling on the floor to use the bathroom. But now she is on the mend and able to lift her baby son Barney for the first time. Eleanor, 33, was struck down with sciatica in her third trimester of pregnancy and confined to bed. She said: “It was agonising and the pain was unimaginable. “The pain became excruciating after Barney was born. I was practically bedridden for six weeks and was prescribed morphine by my doctor to manage the pain. 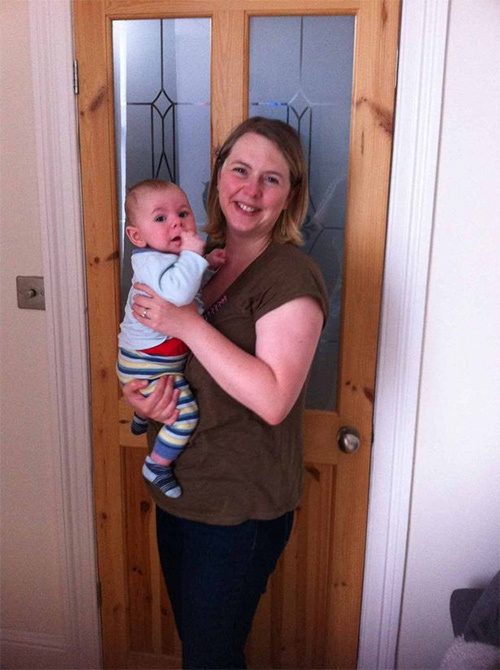 She was told by her doctor it was sciatica which should clear up but the pain became worse and eventually Eleanor had an MRI scan at the Royal Infirmary which confirmed a prolapsed disc. The 33-year-old pharmaceuticals manager could not walk and was confined to her bed. Eleanor, who also has a three-year-old son, Felix, was unable to care for her sons, so her husband, Paul, took leave from work to look after the three of them. Eleanor said: “I had health insurance so I opted for private care as the pain was dreadful. “I went to the Spire Hospital in Leeds and saw Mr Deb Pal, a consultant neurosurgeon. On the day of surgery Eleanor travelled by car and had to lay flat on the back seat due to the pain. She needed a wheelchair to take her from the car to the hospital. Mr Pal performed a Microdiscectomy, a minimally-invasive procedure to remove part of the damaged disc and free the trapped nerve. Mr Pal said: “It’s difficult to manage back pain during pregnancy because of the limited painkillers that can be taken and it’s not possible to operate during pregnancy because of the risk to the unborn baby. “It’s a minimally invasive surgical procedure in which a portion of a herniated disc is removed and the trapped nerve freed by a surgical instrument or laser while using an operating microscope for magnification. “The 45-minute procedure was performed using keyhole surgery. Ninety per cent of patients experience immediate relief following this type of procedure. And “anything heavy” means toddler son Felix. 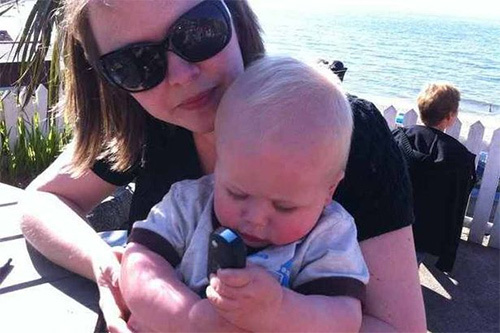 “I can manage to cope with Barney and it’s great to be able to hold my baby son at last. “Felix will have to wait a bit longer.